Dancing Balloons | Pi'ikea St. 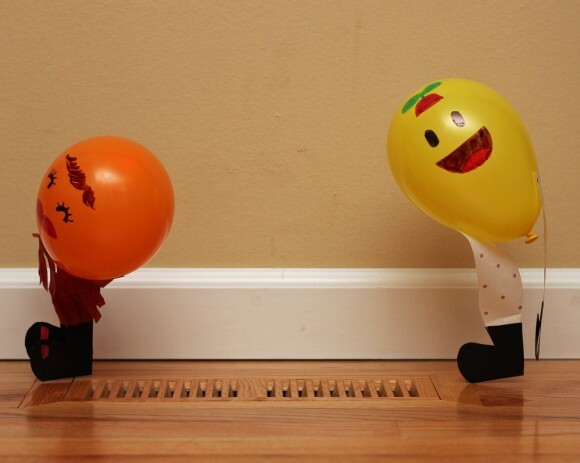 Kids will get a kick out of seeing these balloons come to life. They don’t take a long time to put together but require the furnace fan to be on. 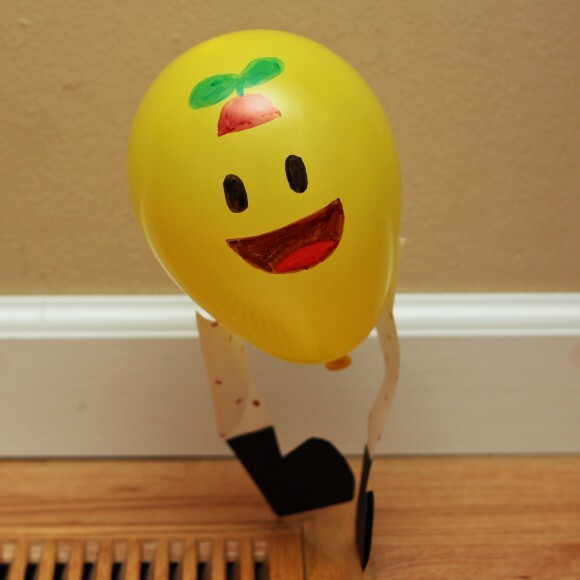 Prepare your balloon’s shoes by cutting a shoe shape out of card stock. Use this shape as a stencil. Trace the stencil once and flip the stencil over. Line the bottoms of the shoes and trace a second time. Cut the whole piece out leaving the bottoms of the shoes intact. 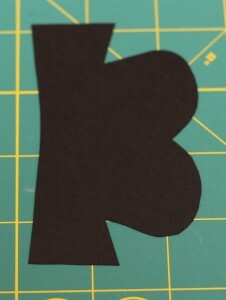 Like this: Use this piece as a stencil to make a second shoe. 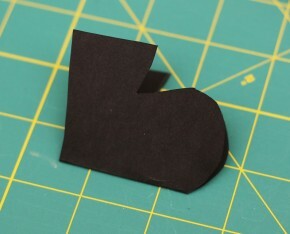 Cut tissue paper into 2 rectangles about 5” x 1 ½”. 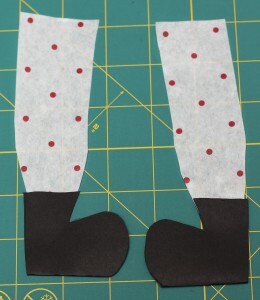 Tape a piece into each shoe. 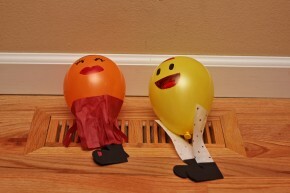 Time to prepare the balloons, blow a balloon up and tie it shut. Draw on a face with permanent markers. 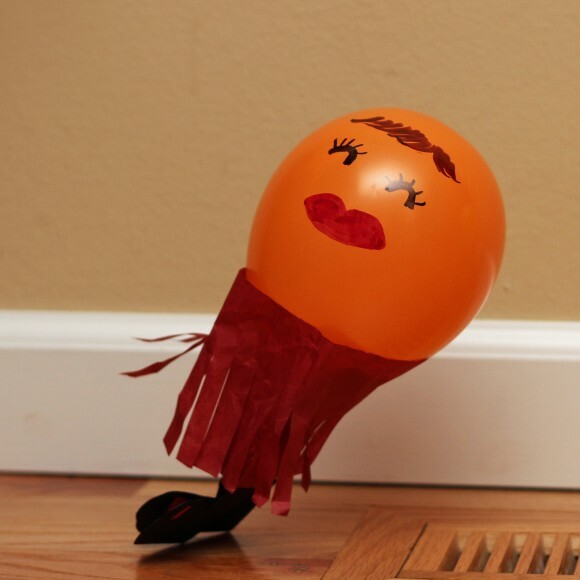 Tape legs on to balloon and set it on a furnace vent. Flip the furnace fan on and watch them go. This one has a cute skirt on! Turn some music on and join in the fun!